Please come along to our latest group show curated by the fabulous Pauline Carney! 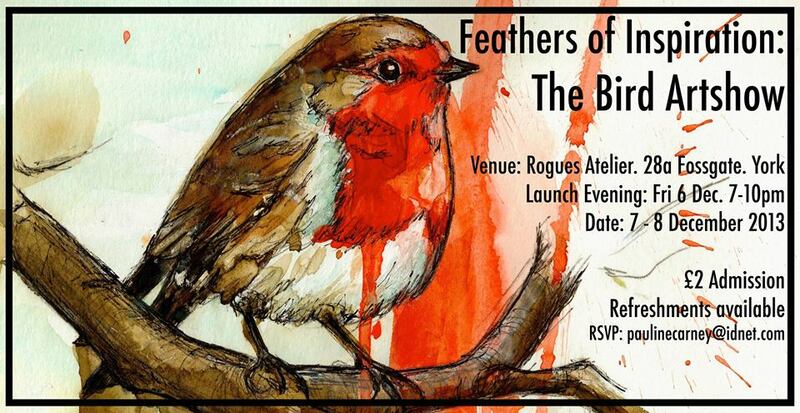 Taking place in York this December, the artists explore all things feathery and beaked to bring you original works, and also a festive shop full of prints, cards and gifts. I’m currently working on some new pieces, and signed prints will be available to purchase at the show…maybe even a few originals! It’s just £2 in, and of course there will be free wine and refreshments, so join us in getting ready for the festive season and maybe even purchase a few christmas pressies!